Key point: "In the end, absent a U.S. and Japanese commitment to intervene in the early stages of an attempted PLA invasion of Taiwan, there is only a slim likelihood that the Taiwanese military would be able to "defeat" its opponent in the conventional sense of the term." A consensus seems to have developed among a large number of defense analysts in recent years arguing that despite the balance of power having shifted in China's favor, Beijing has no intention to use its military to invade Taiwan and thus resolve the Taiwan "question" once and for all. Doing so would be too costly, some argue, while others contend that Beijing can accomplish unification by creating enough economic dependence and incentives to convince Taiwanese over time of the "inevitability" of a "reunited" China. Although these factors certainly militate against the desire to go to war over the island-nation, we cannot altogether discount the probability that the Chinese military would be called into action, especially if the rationale for launching an attack were framed in terms of a defensive war-China being "forced" to take action because of changing and "untenable" circumstances in its environment. The first component of such a strategy is for Taipei to clearly define what the mission is, and just as importantly, what "victory" would look like. Given the quantitative and qualitative differences that exist between the two militaries, it is clear by now that victory for Taiwan can no longer be defined in maximalist terms: the total destruction of enemy forces. Moreover, Taiwan does not have the means, nor does the intent, to take the fight to China to annihilate People's Liberation Army (PLA) forces stationed on Chinese territory. Therefore, with a few-and important-exceptions that will be discussed below, the military area of operations in a war scenario would be the Taiwan Strait, and in a full invasion, the Taiwan side of the median line that divides the Strait. In all those scenarios, Taiwan would be forced to adopt a purely defensive posture. The hardening and dispersal of targets, as well as improved air defense capabilities, are part of that strategy and what the Taiwanese military has prepared for over the years. The key in such "limited" scenarios will be to lower the chances that China would achieve its objectives. Under current conditions, Taiwan arguably has sufficient resources and the right strategies in place to address those limited contingencies. If true, this would mean that those options are off the table for China, therefore forcing it to either abandon the idea that force can be used to coerce Taipei, or to escalate. The logic behind ensuring that Fortress Taiwan has the wherewithal to defend itself against limited attacks is that the more Beijing has to escalate, the greater the dilemma it faces as pressures-domestic and international-against such use of force, and therefore the potential costs of unleashing it, would be much more severe. Still, there are contexts in which the dynamics that militate against full invasion would lose momentum. Chinese military literature is replete with references to defensive war and variations on that theme. Such language would be critical if it became necessary for the Beijing leadership to rationalize a decision to use total force to achieve its objectives. In such scenarios, China would position itself not as the aggressor, but rather as the victim, "forced" by external circumstances to go on the offensive, however begrudgingly, to protect its "vital" or "core" interests. In other words, a change in context would leave the leadership with only two choices: capitulation or battle to defend the integrity of the Chinese territory. A declaration of de jure independence by Taiwan would certainly prompt such a response, with laws-the Anti-Secession Law-"forcing" Beijing to respond. China could also feel "compelled" to act if it deemed that political instability on the island were such that it threatened the safety of "Chinese compatriots"-in other words, Beijing could use its own "Crimea model" to justify massive use of force (humanitarian in this case) to occupy Taiwan. It would therefore be incautious to rule out any possibility that China would use maximum force (short of the nuclear option) to attack Taiwan, to believe that rational calculations of costs versus benefits will prevail under any and all circumstances. Even if the probability is remote, it still exists. And given the trends within Taiwanese society which make unification with China less and less appealing, it is not entirely infeasible that a decade from now the Chinese leadership could decide it has to take military action-again for purely "defensive" purposes-lest "splittists" (of course aided by the CIA and other agencies bent on subjugating China) threaten to tear apart "one China" and inspire other groups within its territory to move in a similar direction. 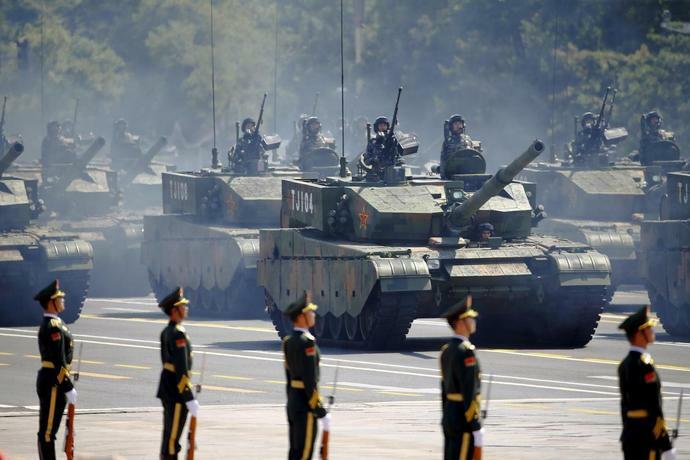 So what could Taiwan do to ward off a PLA invasion? Since the Taiwanese military cannot hope to defeat the PLA in a conventional battlefield, and given that Taipei has no assurances that allies such as the United States and Japan would intervene on its side, its best defense is to ensure that China does not launch such an aggression in the first place. In other words, Taiwan must substantially increase the costs of invasion-real and perceived-by promising unacceptable amounts of pain to the PLA, the leadership in Beijing, and the Chinese population. Logically, this implies building up its capabilities to counter an amphibious assault through a combination of naval and aerial assets, as well as anti-armor rockets, missile batteries, artillery, mobile special forces units, and a well-trained and equipped reserve, to saturate the beaches with lead and create a kill zone for advancing PLA forces. Ensuring the survival of its air force and navy assets following saturation bombing by the Second Artillery in the initial phase of major hostilities would also be important, as those would also be necessary to counter PLA transport vessels ferrying troops across the Taiwan Strait. However, such a passive, or "porcupine" defense strategy would probably not be enough to deter Beijing. Consequently, a second aspect of Taiwan's plans to inflict unacceptable pain on China must explore more offensive options. It has already begun doing so, with the production and deployment of Land Attack Cruise Missiles (LACM), naval suppression kits, and standoff air-to-ground missiles (cluster bombs, anti-radiation) capable of disabling airfields as well as missile and radar sites in China. The deployment and dispersal of larger quantities of road-mobile or naval LACM launchers would also make it more difficult for the PLA to locate and destroy all of them and thus increase the potency of Taiwan's counterstrike capabilities, especially if their range were increased (Taiwan should nevertheless keep the moral high ground by promising it would only use such assets against military targets). To maximize the impact of its counterforce capabilities, Taiwan would also have to improve its ability to pinpoint targets through greater investment in radar and satellite technology-and ensure redundancy, as those would also likely be targeted by the PLA in the initial phase of a conflict. Greater human intelligence assets inside China, as well as the ability to conduct sabotage against key military (and economic) sites, would complement the offensive aspect of Taiwan's defense strategy. Other options include armed unmanned aerial vehicles (UAV) and a larger fleet of submarines with conventional LACM capability. All of this is contingent on a political decision to invest more on defense than Taiwan does at present. The second leg of a more active political warfare strategy would be to convince Beijing that Taiwan's allies-the United States., and possibly Japan-would act quickly should the PLA attempt an invasion of Taiwan. In other words, Beijing should not longer be kept guessing whether the United States would enter a conflict in the Taiwan Strait, especially at a time when Washington's commitment to the region-and to Taiwan more specifically-is in serious doubt. Strategic ambiguity, which has served as a cornerstone of Washington's policy in the Taiwan Strait since the conclusion of the Korean War, should be abandoned and replaced by a series of well advertised tripwires or "red lines" that, if crossed, would prompt a response by the U.S. military. Tokyo is also ripe for closer cooperation with Taiwan, and as such, political warfare that plays up the possibility of joint efforts between the two countries could be of great assistance to Taiwan. The more Beijing is convinced that the United States., and possibly Japan, would intervene in the Taiwan Strait, the greater will be its reluctance to launch operations that would spark such a response, as their entry in a conflict would substantially increase the costs of an invasion while diminishing the likelihood of a quick "low-cost" resolution on Beijing's terms. Elsewhere, Taiwanese lobbyists and the Taiwanese diaspora could make more effective use of the island's assets-a vibrant liberal democracy and an important economy-to encourage the international community to adopt a more vocal line in its opposition to the resolution of the Taiwan "question" by military or coercive means. Convincing Beijing that the international community would not countenance use of force-and would slap painful economic sanctions should it decide to do so-would contribute to Taipei's deterrent. Helping visitors to Taiwan better understand the nature and preciousness of its unique society, and encouraging them to be more proactive in their home countries convincing their representatives to take a more principled stance on Taiwan could go a long way. Existing programs under Taiwan's Ministry of Foreign Affairs could serve as a basis for such efforts; increasing contact via other departments-e.g., creating more exchange programs for foreign military personnel to undergo language training in Taiwan-should also be explored. Additionally, taishang, the Taiwanese who operate businesses in China and who played a crucial role in helping develop the Chinese economy over the decades, could also threaten to cease their operations or pull out altogether if the PLA were activated in the Strait. Though happy to make money in China, most taishang (including the many who vote for the KMT) remain proud Taiwanese who do not want to see their home country devastated by war. Their possible role as a pressure point against Beijing should not be underestimated. One last area where Taiwan could do more to deter Beijing is in cyber warfare, or "electronic sabotage." Using intelligence assets in China (closer contact between the two societies works both ways and doesn't only create opportunities for China), Taiwan could identify and select civilian and military targets for retaliation, with the aim of severely disrupting China's ability to operate normally should it launch an attack against the island. The banking and high-tech sectors would be likely targets. On the military side, promising to degrade, or perhaps even disable, China's nuclear deterrent-even if momentarily- or knocking out its air defense systems, thus exposing China to USAF bombing runs, would be enough to make Beijing think twice about launching an invasion. In all those efforts, Taiwan would need to strike a balance between signaling its intent and capability to launch disruptive attacks of that nature-in other words, for deterrence to work, Beijing must be convinced that the threat is real-and the need to protect itself against Chinese espionage which could undermine those efforts. In the end, absent a U.S. and Japanese commitment to intervene in the early stages of an attempted PLA invasion of Taiwan, there is only a slim likelihood that the Taiwanese military would be able to "defeat" its opponent in the conventional sense of the term. The force disparity between the two sides has simply become too wide. As such, under prevailing circumstances, the only way that Taiwan can defeat China is to make sure that the PLA is never used to attack Taiwan. Deterrence, therefore, is its most credible asset, and one which it can put to much better use.